Click here to register your small UAS (drone) with the FAA. Click here to learn about Airspace Restrictions. Click here to read the FAA's Drone Rules. If you are new to drones or UASs (Unmanned Aerial Systems), make sure you know the rules and stay safe!! These rules change regularly. I will keep this information up to date. Last change was Dec. 12, 2017! Summary: Before you didn't have to register if you were flying as a Model Aircraft. Now you do if your aircraft weighs between 0.55 lbs. (250 grams) and up to 55 lbs. (25 kg). Q: Do I need to register my Unmanned Aircraft? Register your UAS as a "non-modeler"
Q: What if I am going to fly for business but don't feel like registering? The FAA's A: "You will be subject to civil and criminal penalties if you meet the criteria to register an unmanned aircraft and do not register." Click here to read about how much you could be fined. Getting started... The rules for operating an unmanned aircraft depend on why you want to fly. 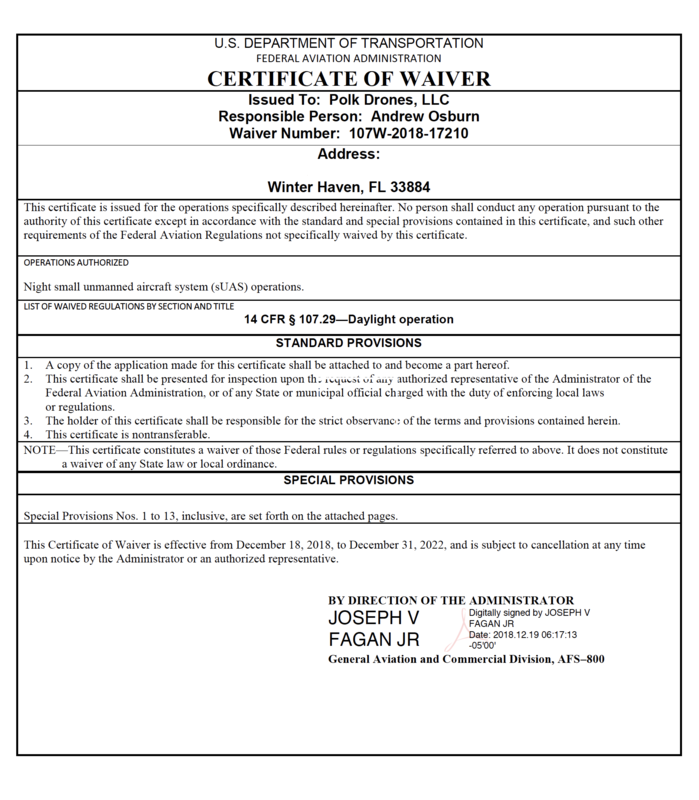 ​Click here to see the actual waivers that have been granted by the FAA. Aerial mapping dashboard, complex data collection and processing. Simple crop health visualizations with 5 algorithms. KittyHawk provides preflight checks, live airspace, accurate weather & flight restriction info, flight logging, and maintenance scheduling. Commercial, Worldwide Coverage, Hull and Aircraft Liability Insurance.